The sense of loss is great. The loss of a country I thought I knew, the loss of a continental union, the potential loss of the United Kingdom as it currently exists. Almost six years living and working abroad in South-East Asia has done nothing to lessen the heartbreak of watching my country unravel. Last Friday’s referendum result will have profound consequences for the UK and Europe, yet the sad irony is that it started off as a Tory squabble that should have been managed internally. David Cameron offered a referendum on membership of the EU – not to genuinely give people a say, but as a gesture to appease the Eurosceptics in his party. His gamble that the UK would vote to stay has massively backfired. The shock of a Leave victory had colossal reverberations on result day: David Cameron resigned as Prime Minister, leaving a legacy of destruction; the pound fell overnight to its lowest level in 30 years; Scotland announced it would likely hold a second referendum on independence; and Sinn Fein called for a vote for a United Ireland. Meanwhile, the victory was celebrated by other right-wing parties across the EU, who called for their own referendums, leaving the EU fighting off a mounting attack. The past few days have been filled with chats with friends and family both at home and here in Thailand who feel the same shock, devastation and uncertainty. The feelings are compounded by a complete lack of leadership from either side of government who can reassure the population in this time of political, social and economic turmoil. Instead of forging ahead with a strong post-Brexit vision or strategy, the Tory party will be spending its energy on choosing its next leader. Labour, instead of stepping up and offering progressive arguments for the way forward, has basically disintegrated. Much of Corbyn’s shadow cabinet has resigned and it is unclear if he will survive the week, let alone an early general election. Should we respect the referendum result? If we believe in democracy, then yes we should. But can we say that democracy has been well served in this case? When the Leave campaign used lies to win votes and have already reneged on their key promises, such as extra funds for the NHS and immigration cuts? When Leave leaders such as Boris Johnson have seemingly waged a campaign they never actually thought would win, and therefore never devised a sound EU exit strategy? When the referendum was won by such a narrow margin (1.9%), yet will have profound consequences for younger generations who mostly voted the other way? There is no simple answer. To ignore the vote is to also do a disservice to the 17 million people who voted Leave. Some of them may regret their vote now, while others may regret it later when the economic repercussions start to hit home. But they have spoken and many stand by their vote. It is easy to vilify them as racist and uneducated, as many Remainers have done in the aftermath of the vote. It can be puzzling as to why they would vote against their own interests. Yet the referendum finally gave them a chance to voice their discontent in a way that would never have manifested in the same way in a flawed first-past-the-post electoral system and with out-of-touch politicians. Many of them are people who feel dispossessed in an era of massive globalisation, which has seen rapid industrial decline, scarcity of secure jobs and increasing inequality. They often see immigration as a source of their problems, in addition to the EU as a remote, undemocratic mega-institution that makes decisions on their behalf. The Leave campaign capitalised on both of these nationalist issues to gain the popular vote, whipping up dangerous nationalist and xenophobic sentiment. While some of these problems may hold true to some extent, the EU and immigration aren’t really the source of their problems; the problem is an unbending faith in markets and economic growth, which has our politicians prioritising big banks and businesses over its own people. It started off with Thatcher, re-modeling the UK economy to serve shareholders and attack workers’ rights in the eighties. The Conservative-led coalition government followed in her footsteps, implementing a harsh programme of austerity from 2010 that has seen living standards fall, insecure employment, benefit cuts that hurt the poorest and disabled, and the spread of food banks. There have been no such dire repercussions for those who started the crisis in the first place. If anything, they have thrived under Conservative leadership. Change is much needed in the UK. But it is a shame that this protest vote has come about in such a way that everyone will lose, and that may leave the UK a much more insular and hostile place. While this result could be the wake-up call needed to address the deep chasms that run through our society and provide the break needed to re-think our economy and politics, I fear that our politicians aren’t currently up to the job. While they quarrel amongst themselves, reports of racist incidents have risen and people who have made the UK their home for years, if not a few generations, have started to feel unwelcome for the first time. Watching this from afar, I feel quite powerless, but the UK will never cease to be my home and I will never give up on it. I hope to eventually return to a place as open, tolerant and dynamic as the one I felt I left in 2010. It is up to us, wherever we’re from, to do what we can to promote tolerant societies, seek to understand each other and push our politicians to finally put people above profits and their political ambitions. To do otherwise leaves us all in a very dark place. 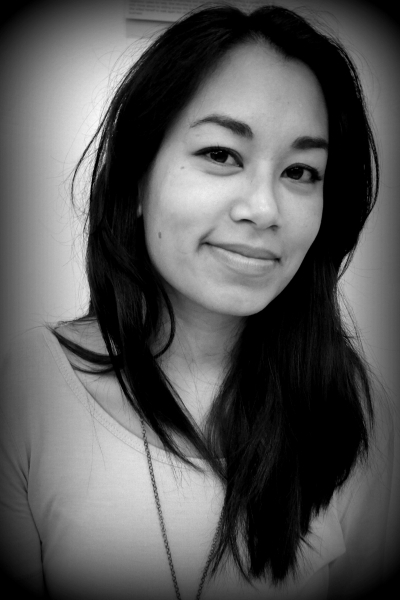 Yasmin Ahammad is the Bangkok-based program development officer with the well-known NGO Focus on the Global South. Originally from the UK, she has a Bachelor’s degree in Hispanic Studies and a Master’s degree in Development Studies from the University of London. She has been working with UK and Asian NGOs and grassroots organizations since 2006, specializing in resource mobilization, grants management and donor relations. She has most recently spent three years working with ethnic community-based organizations on the Thailand-Myanmar border.